A great example of this classic David Thomas Designed Cruiser/Racer built in 1980. Yes it does have a few scratches on the deck, what do you expect for a boat that is nearly 40 years old, but this boat has been subject to a lot of attention, over the past year since bought by the current owner. He has rewired the electrics, replaced the standing rigging and re-bedded many of the deck fittings to ensure the interior is water tight. On top of this, down below, he has replaced the headlings, re-upholstered all the cushions and re-varnished the interior. All this means you have a tidy clean boat. Those that have not sailed a Sigma 33 are always amazed at their turn of speed and ease to handle. This yacht is well worth viewing. 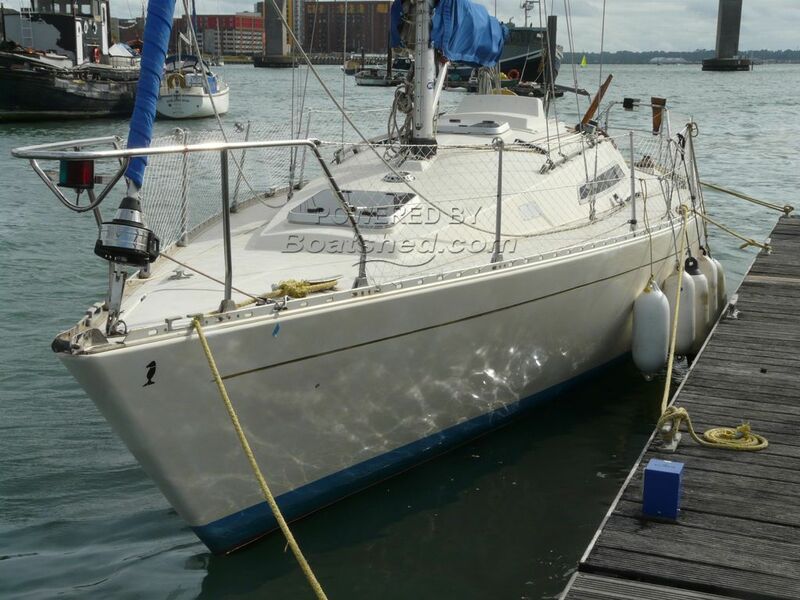 This Sigma 33 OOD has been personally photographed and viewed by Roger Drewery of Boatshed Southampton. Click here for contact details.